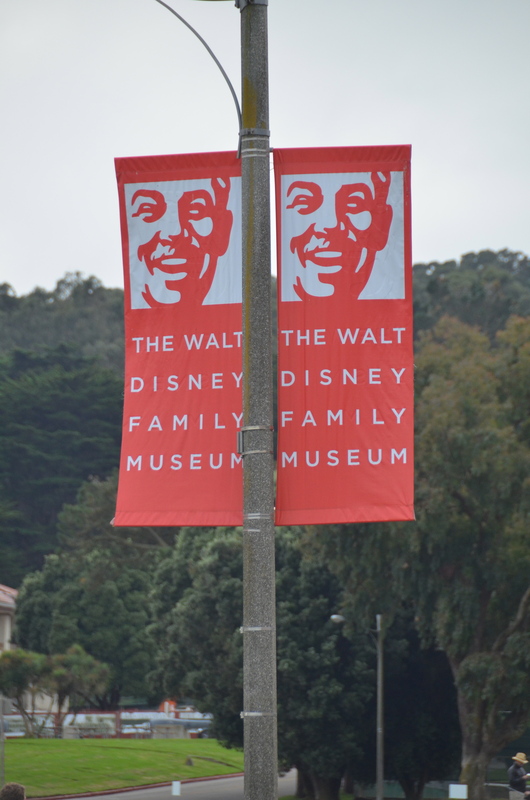 Earlier this year we learned that there is a museum in San Francisco devoted to the life and work of Walt Disney. You already know that we are fans of the “Happiest Place on Earth” from previous posts. But did you know we are true connoisseurs of Disney? As kids, we had these books called Value Tales, and one of those books was about Walt Disney. Ever since then I find him a very interesting person, and a representative of the classic America dream. Like many classic “American” stories, no one worked harder, failed more often, experienced more disappointments, and eventually succeeded like Walt Disney. Disney had ideas stolen from him, he nearly lost his business many times over due to war, strikes, economic hardships, and taking too much risk. He and his wife suffered terrible heartbreak because their dream of a big family was never realized–they were only able to have one child, but were thankfully able to adopt another. The name “Disney” is now often associated with “big business” and “monopolies.” They dominate entertainment for young people, their marketing is all invasive, and they have literally taken over some areas, like Broadway in New York. Many believe Disney represents a lot of what is wrong with America. And to a certain extent I agree. Disney made some less than wholesome associations, especially when Michael Eisner was president. I absolutely abhor the Disney channel. It is stuffed full of mindless drivel and has produced such stellar role models (like Linsday Lohan). But if you go to the roots of Disney you find that it was originally about more than money and pop culture. Disney was innovative in art, animation, architecture, business, and theme parks. He understood the power of a good story, and he wanted to produce entertainment and create places that children and parents could enjoy together. When he says “A dream is a wish your heart makes,” he wasn’t kidding. He was a dreamer who made fantasies reality. If you are like us, what I would call “Classic Disney Fans,” then this gem of a museum is an absolutely must see. It is not a museum about Disneyland, or all things Disney. Rather, this is the story of Walt Disney: his life, dreams, and work. And in true “Classic” Disney tradition, the museum is beautifully presented and exquisitely rendered. 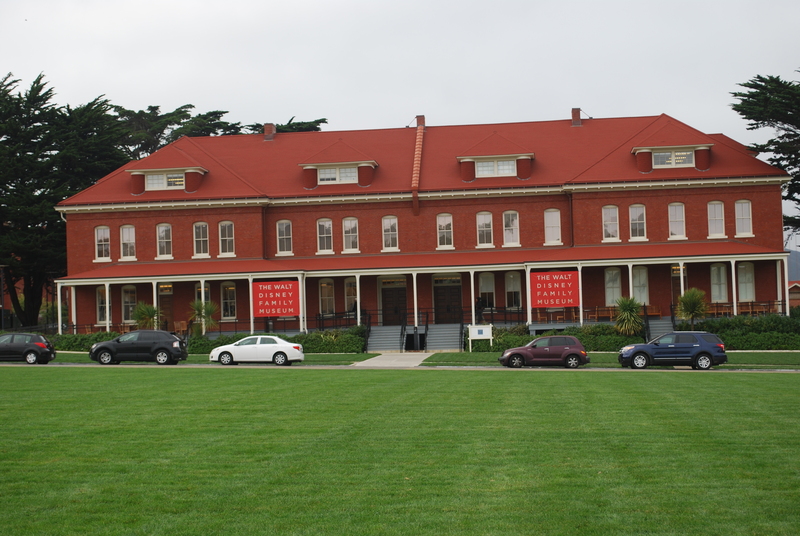 The museum is in the San Francisco Presidio area hills, in an old Military barrack. 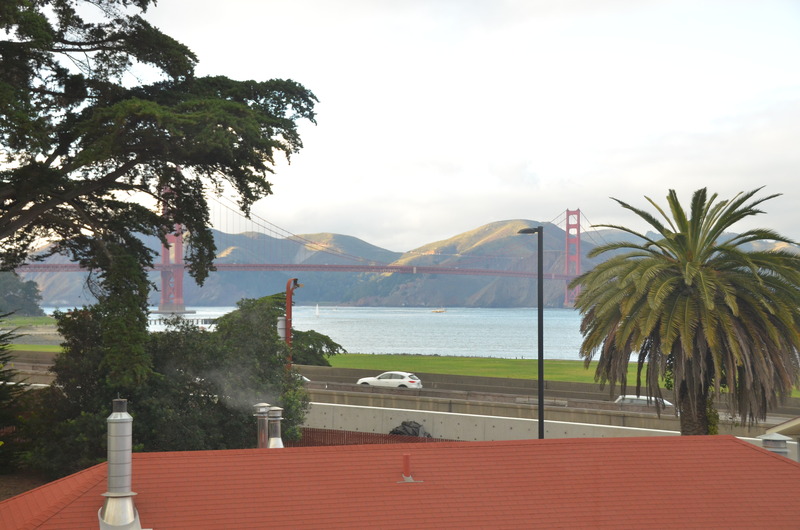 The area is serene, and behind the museum is a must-see view of the Golden Gate Bridge. There is ample parking across from the museum, for an extremely reasonable rate (it cost us $2.50 for 2.5 hours). The entrance fee to the museum is a bit steep. $20 for adults and $12 for children. Thankfully, they count children up to the age of 17, which is generous. They also offer a student discount. To take our family it cost nearly $100. But once I got inside, I could tell right away that I was not going to feel ripped off. Pictures are not allowed in the museum, but they are allowed in the main foyer where there is quite a bit of art displayed, as well as Walt’s collection of awards. The museum starts off with pictures of Walt’s family tree and vignettes of his childhood. 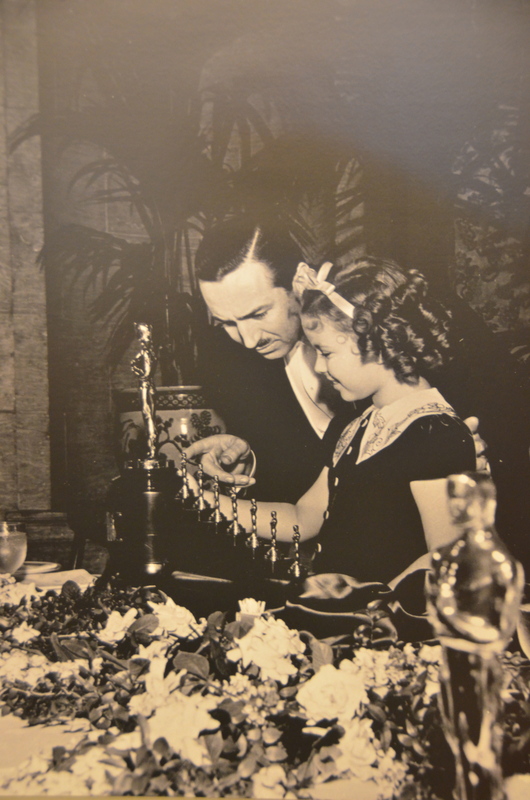 Every room features the Classic Disney detailing, and thoroughly explains every picture and display. Also featured in every room is other visual presentations through animation and video, as well as audio. I loved hearing about Walt’s childhood from Walt himself. So charming. 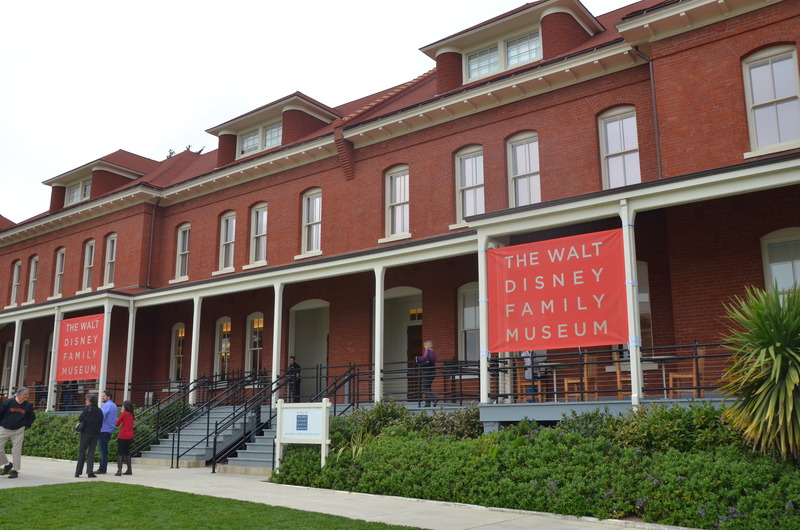 As Walt grows up, the focus in the museum changes to his work. There is wonderful footage of his Alice series and early cartoon work. There is an entire room devoted to Snow White and his other early animated classics like Pinocchio and Alice in Wonderland. The path of history includes Walt’s work on propaganda film during WWII as well as the struggles he had with unions and labor issues. There is even a station where you can listen to Walt testify to congress of Communist activities in the unions and labor strikes. One of my favorite things was in one of the last rooms. It is a model of Dinseyland. It is so fascinating, because it is not as it is today. It includes elements of the park that are no longer there, as well as features that were never built. We also discovered lovely art works–concept art by Mary Blair, one of our favorite Disney artists. 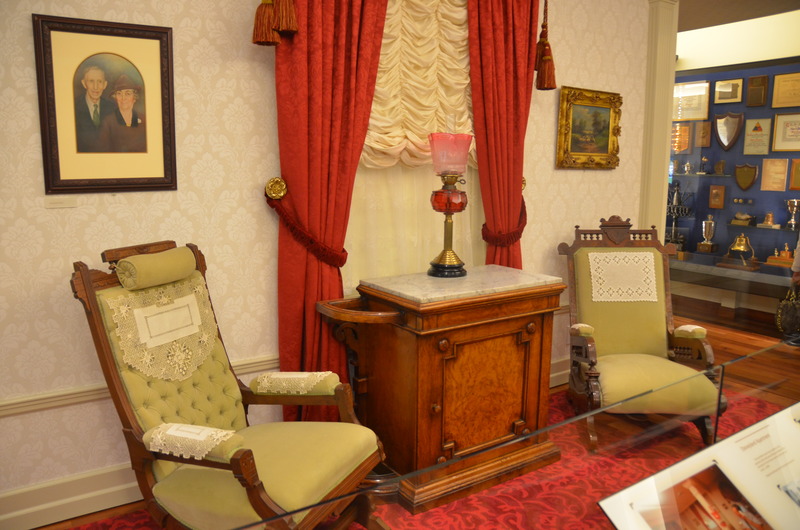 The last room was a tribute to Walt upon his death. It was amazing to see what was printed in the press about him. His death hit people hard, and in this room it is difficult not to get a bit teary eyed. The gift shop is amazing. If you love museum gift shops like I do you will want to budget time to leisurely look at the beautiful displays and products. There is also a little cafe which looked lovely, but we already had dinner reservations elsewhere for the evening. I had read in several places that this museum was not designed for children under 12, so I let my 9 year old travel back to Grandpa’s house with the other small children in our group. But I think she would have enjoyed it. She is a well behaved girl who is also a good reader so this would have been fine for her. But I was glad we did not attempt it with my five nephews all six or younger. This is a stop I highly recommend. We spent about 2.5 hours and felt a bit rushed. 3.5 hours would be more leisurely and include a nice browse in the gift shop. If you are a Walt Disney Aficionado, then this is a place to add to your MUST VISIT list. I remember loving Disney movies when I was young and I just Mickey Mouse. It think I would like this place. After visiting the museum, I wanted to go watch Snow White, Pinocchio, Dumbo, and Alice in Wonderland again. I love Walt And all the old Disney classics. I would love to stop here next time we are in the neighborhood.